The lemon is native to Northern India and is thought to have reached Europe via Persia. It was originally grown in Greece and then in Italy in the 2nd century. It is cherished all over the world for both medicinal and culinary uses. Ginger has been cultivated for hundreds of years in both China and Asia, reaching the West at least 2000 years ago. It is used in almost half of all Chinese medicines and is commonly used for its relaxing and calming effects both as a medicine and in food. 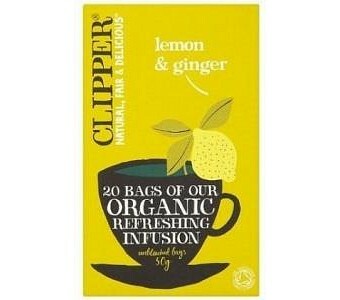 Caffeine Free Organic Vegetarian Ingredients: Organically grown lemon grass, ginger and lemon peel, natural flavours.